Saints Peter and Paul Roman Catholic Chapel is located at 129 South Beaver Street in the Historic District of York just two and one-half blocks from the center city square at Market and George on South Beaver Street midway between West King Street and West Princess Street. From Harrisburg: Take I-83 South to exit 22, N. George Street (Bus. 83). Take George Street into the center city. Go two blocks past Market Street to Princess Street and turn Right at Main Post Office. Go one block to Beaver Street and turn Right. The Chapel will be on your right in the middle of the block. Approx. 35 minutes. From Baltimore: Take I-83 North toward Harrisburg. At exit 15 take the ramp (left) onto, S. George Street, I-83 Bus. The exit will merge into S. George Street. Follow S. George St into the center city area. Turn left onto Princess Street at the Main Post Office. Go one block and then turn right onto Beaver Street. The Chapel will be on your right in the middle of the block. Approx. 1 hour. From Lancaster: Take Route 30 West toward York. 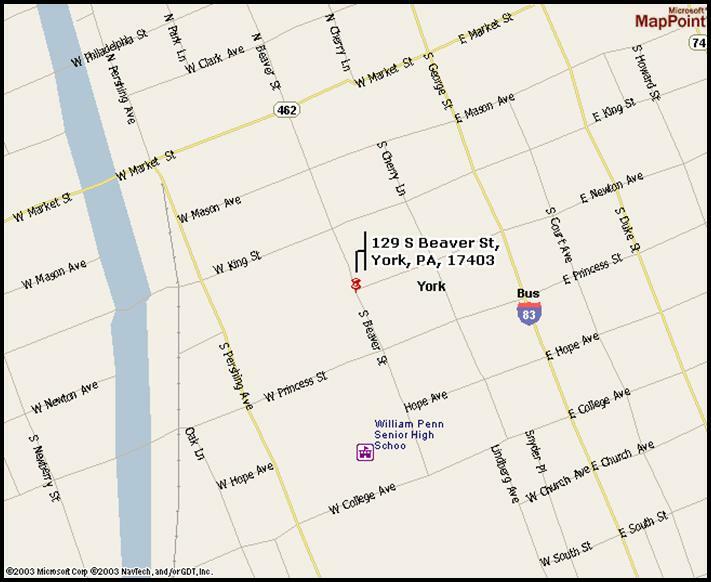 In York, turn left onto I-83 Bus [N George St]. Continue straight onto I-83 Bus [S George St] into the center city area. Go two blocks past Market Street to Princess Street and turn Right at Main Post Office. Go one block to Beaver Street and turn Right. The Chapel will be on your right in the middle of the block. Approx. 40 minutes. From Gettysburg: Take Route 30 East toward York (road name becomes Lincoln Highway). 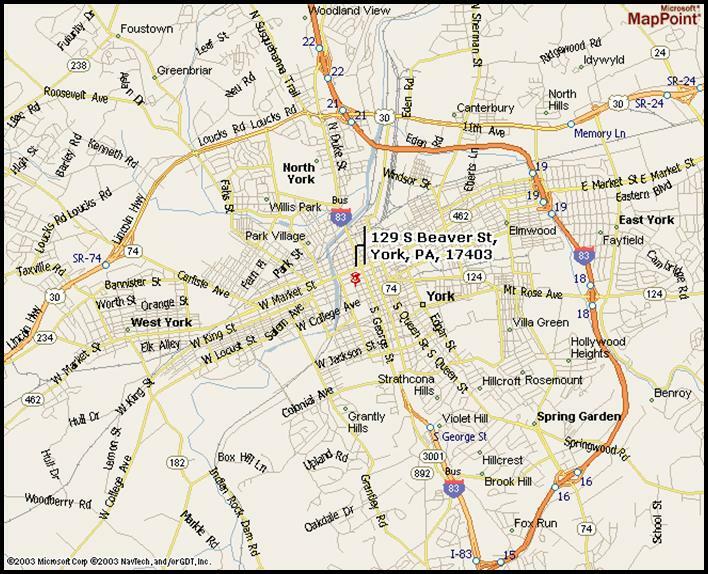 When entering York, continue straight onto Route 462 (West Market St) and follow into the center city area. Turn right onto South Beaver Street. Chapel is one and one-half blocks on your left. Approx. 40 minutes.